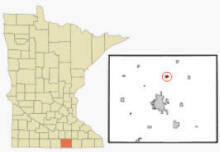 Clarks Grove is a city in Freeborn County, Minnesota. According to the United States Census Bureau, the city has a total area of 0.59 square miles (1.53 km2), of which 0.55 square miles (1.42 km2) is land and 0.04 square miles (0.10 km2) is water. 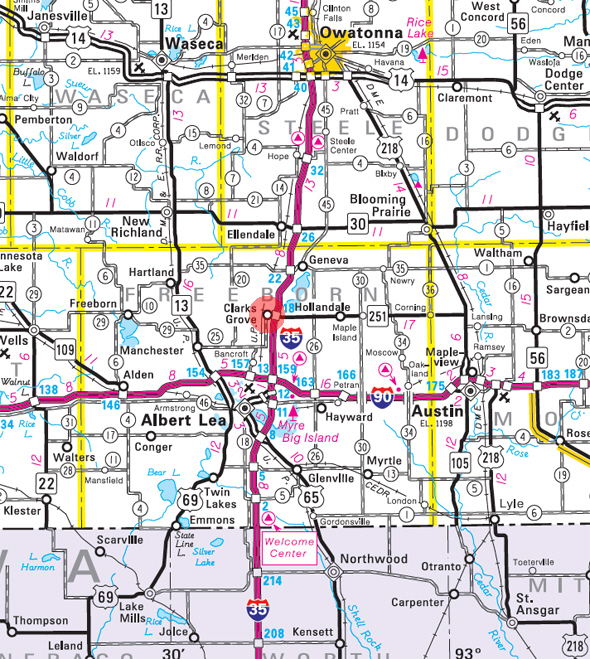 Interstate 35 is a main route in the community. The elevation is 1,312 ft (400 m). As of the census of 2010, there were 706 people, 295 households, and 197 families residing in the city. The population density was 1,283.6 inhabitants per square mile (495.6/km2). There were 312 housing units at an average density of 567.3 per square mile (219.0/km2). The racial makeup of the city was 93.9% White, 0.6% African American, 0.4% Native American, 0.4% Asian, 2.4% from other races, and 2.3% from two or more races. Hispanic or Latino of any race were 6.8% of the population. There were 295 households of which 31.2% had children under the age of 18 living with them, 50.8% were married couples living together, 8.5% had a female householder with no husband present, 7.5% had a male householder with no wife present, and 33.2% were non-families. 28.5% of all households were made up of individuals and 8.8% had someone living alone who was 65 years of age or older. The average household size was 2.39 and the average family size was 2.90. The median age in the city was 38.1 years. 25.4% of residents were under the age of 18; 8.4% were between the ages of 18 and 24; 24.4% were from 25 to 44; 27.6% were from 45 to 64; and 14.3% were 65 years of age or older. The gender makeup of the city was 50.6% male and 49.4% female. CLARKS GROVE, a city in Bath Township, sections 34 and 35, was founded in 1890, ten years before the railway was built. Its name had been long borne by a grove a mile east of the present village, in which grove John Mead Clark settled "in the early days." It was incorporated as a village on February 27, 1920, and had a station of the Chicago and Northwestern Railway, sometimes listed as James. Its post office began in 1857 with Clark as postmaster. 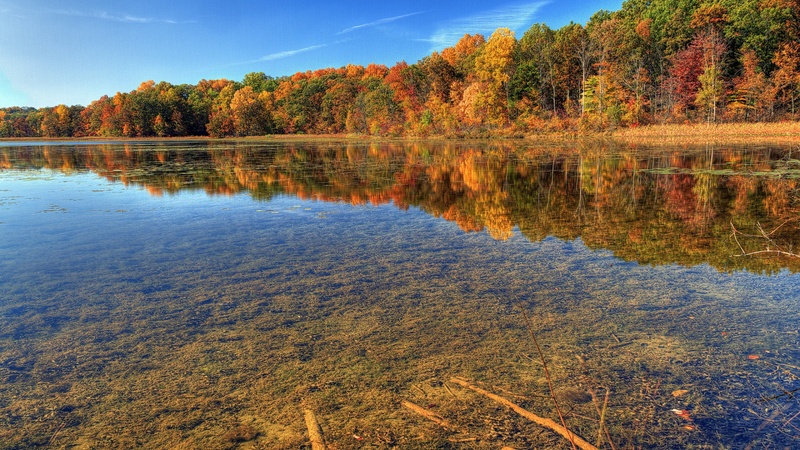 Harmony Park provides a variety of campsite options to make your visit memorable. A dump station and well are available. During events, porta-potties are provided. 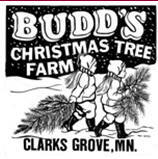 Come and share in the fun of cutting your own Christmas tree from Budd's Christmas Tree Farm in Clarks Grove, MN. Bring the whole family and enjoy some warm cookies and hot apple cider as you find the perfect tree. Full sevice bar & grill with competent menu ranging from burgers and sandwiches to fish and steaks. All served in a friendly and fun atmosphere!!! Royal Sports is a retail power sports dealership in Clarks Grove, Minnesota. We are a locally owned and operated business providing products to make your outdoor living easier and more enjoyable. We service the entire northern Iowa and southern Minnesota area, including Albert Lee, Waseca, Owatonna, Rochester, Austin, Forest City, Mason City, Garner, and many more. Please stop in or call us for the best deals around. For over 105 years the State Bank of Clarks Grove has been serving our communities and providing our customers with service like no other bank! We're a locally owned and operated family bank with two convenient locations to serve you better than the rest. Working for Farmers' Success...it's not just a phrase, it's our PROMISE. As your local full-service cooperative, WFS’ mission is to continually work to grow member value and cooperative strength. We know that your business or farming operation requires hard work and dedication. That's why we take pride in having knowledgeable, hardworking employees, that are dedicated to being your most valued partner; helping you reach new levels of success.